It’s official! 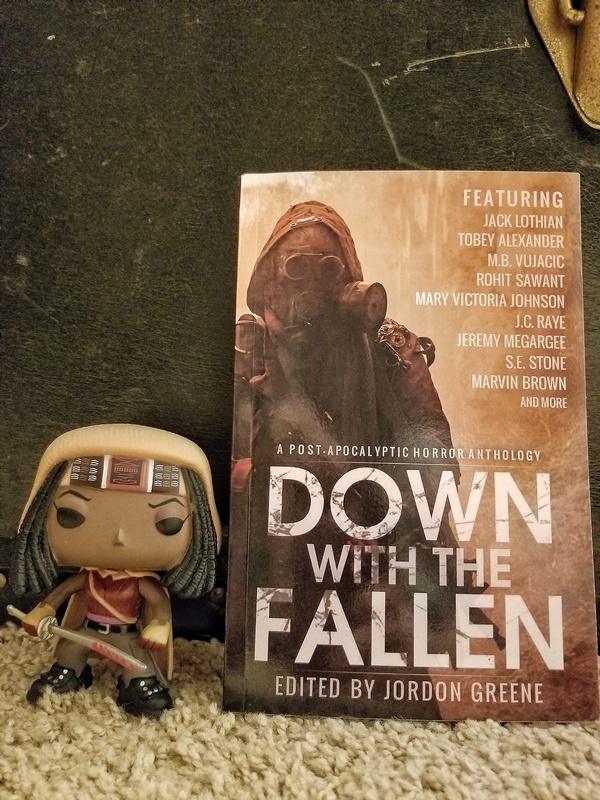 “The Monsters of Bear Mountain” has been released alongside other short stories in the Down with the Fallen anthology. I’ve been trying to write a release post for a few weeks but didn’t come up with anything that I liked. Then I got an email about a promo opportunity on a fellow writer’s blog (check it out here!) Unfortunately, I didn’t get my post edited before the deadline. But that did give me the basis for a post. So here it is: a look at the story behind the story, or what inspired me to write this particular short story. Every so often, the setting comes to me before the characters or the theme or even the plot itself. That’s what happened with this short story. I saw a two-story ski chalet huddled into the woods on the side of a mountain. The air was colored the dirty gray of smog, and wind smashed snow the flat surfaces it could find. Within the forest, human-shaped figures shuffle through hip-deep snow. The chalet itself is dark, but there are two people inside. A man and a woman. I didn’t know who these people were, what these figures outside were, or how all of this fit into life in a post-apocalyptic world. I knew that I wanted to find out, and I did. It’s available in paperback and as an eBook here. Grab a copy today!